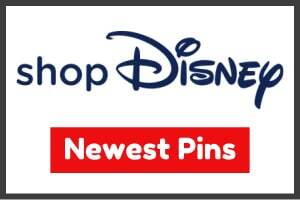 Here is a look at the February 2019 limited edition pin releases at Disneyland® Resort and Walt Disney World® Resort! 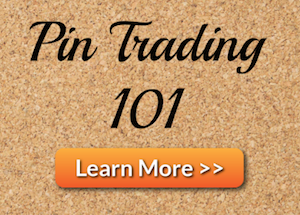 Check our weekly pin posts for additional pin releases and a closer look. 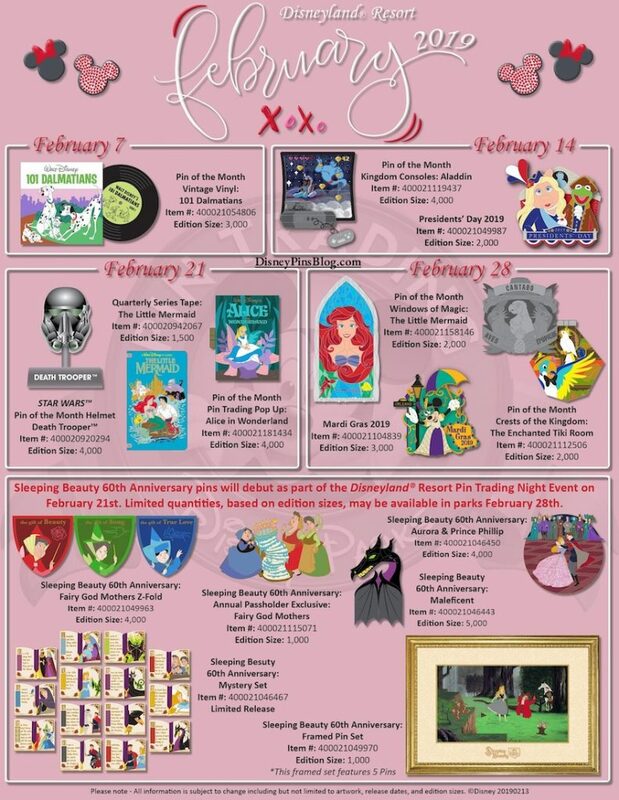 The I Heart Gaming series is being released at DL in January but these flyers for February show it will be released at WDW. Is this a typo? The releases switch off between parks each month – odd-numbered months will be at Disneyland and even-numbered months will be at Disney World. Was a new release date ever set for the Peter Pan VHS pin? Disney told us potentially February 7th but that didn’t happen either. Not sure when now. Hopefully soon! Hi Ryan this is my first time going to the pin trading night at Walt Disney World. I just wanted to get your advise on whether or not I should show up at the Contemporary at least 30 minutes before the event starts or if I should going a little closer to 5pm when the event is supposed to start. I would really appreciate your advise on what to do. Thank you in advance. Hello! People usually start lining up about 1 to 1.5 hours before it starts. 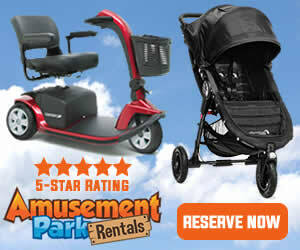 There is plenty of room though so it really doesn’t matter arriving early! 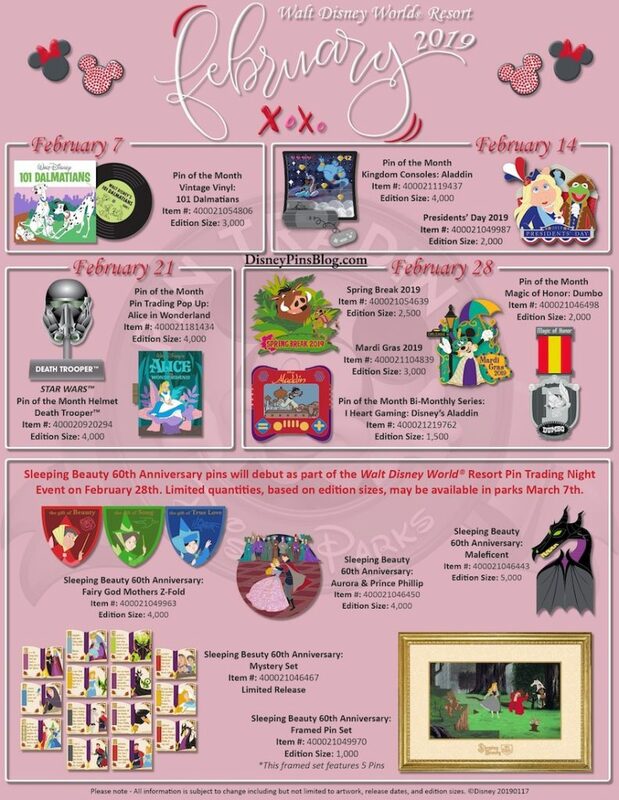 Is there any more detail about the Alice pin scheduled for Feb 21st? 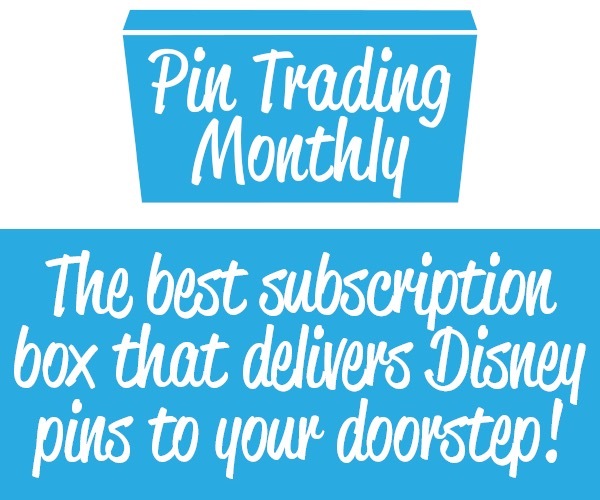 Did the pop up pin from January ever get released? Hasn’t been released yet. Scheduled for this Thursday as well. What happened to the Lady and the Tramp tape series pin? Me as well. Does anyone know? It was to be released the 21st. I was wondering the same- it was supposed to be released the 21st?